CLE X, an annual, day long, invite-only event that brings together Cleveland's hottest innovators in tech, design, art, science and education, happened on Sept. 26 2017. 22 speakers shared innovations, passions, and efforts with 70 attendees to spark new ideas and encourage creativity. This interactive gathering offered participants the opportunity to hear from 22 speakers who gave 7-minute presentations to introduce, influence, find partners or get feedback on their newest passion. No powerpoint or formal presentation was required, just passion, excitement and vision. CLE X 2017 took place Sept. 26th at the Children's Museum of Cleveland, a new creative space opening early November in MidTown Cleveland. A very special thank you to our partner and host, Maria Campanelli, Executive Director of the Children's Museum of Cleveland. It was the perfect environment to showcase innovation while highlighting the value of "play”. Thanks to Reynaldo Zabala Director and Co-Founder of CLEVR, attendees had the chance to experience Virtual and Augmented Reality. 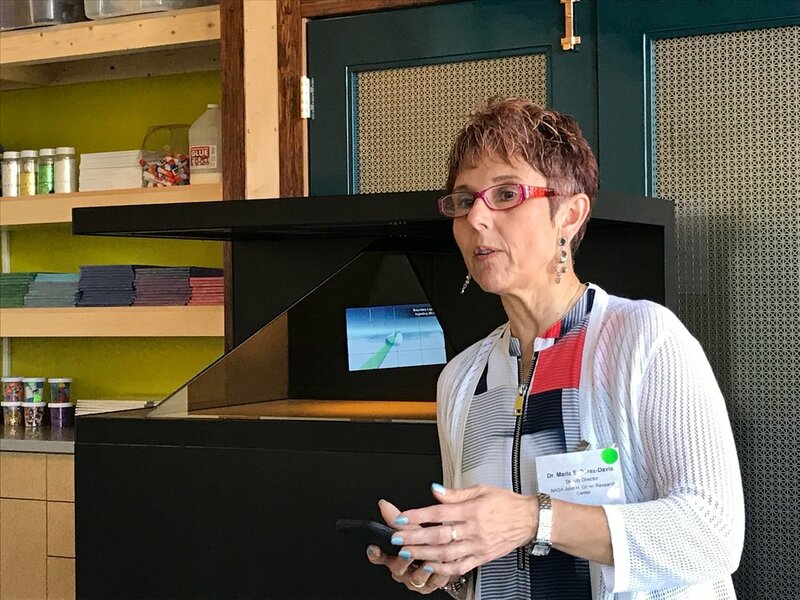 Participants also had the opportunity to experience Microsoft HoloLens thanks to Susanne Wish-Baratz, Assistant Professor of Anatomy at Case Western Reserve University, and her team. Click HERE to view more photos from this years event. Access this year's full agenda and speaker bios HERE. We look forward to bringing more passionate innovators together at the next CLE X. The conversation does not end here. Join the CLE X 2017 Slack Channel to continue to exchange ideas, discover future partnerships, and stay in tune with the work this year's attendees are doing in Cleveland. Learn more about what to expect for future CLE X events to come. Here is a list of FAQs.